The Spain international has struggled for regular gametime since joining the north London club 18 months ago and he has managed just one start in the Premier League. Due to this, he has been tipped to pursue a fresh challenge away from the Capital outfit and Mundo Deportivo claims that the Catalans have expressed their interest in the marksman. 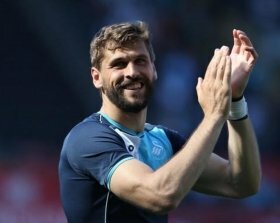 Llorente currently has just six months remaining on his contract with the north London club and he has shown no indication of extending his stay with the Premier League outfit. Still, Spurs could be prepared to run down his contract, given they are expected to be without Harry Kane for an extended period after he suffered an ankle injury against Manchester United over the weekend. Mauricio Pochettino's side are also expected to without Heung-min Son for the remainder of the month with the South Korean having joined his compatriots for the Asian Cup.